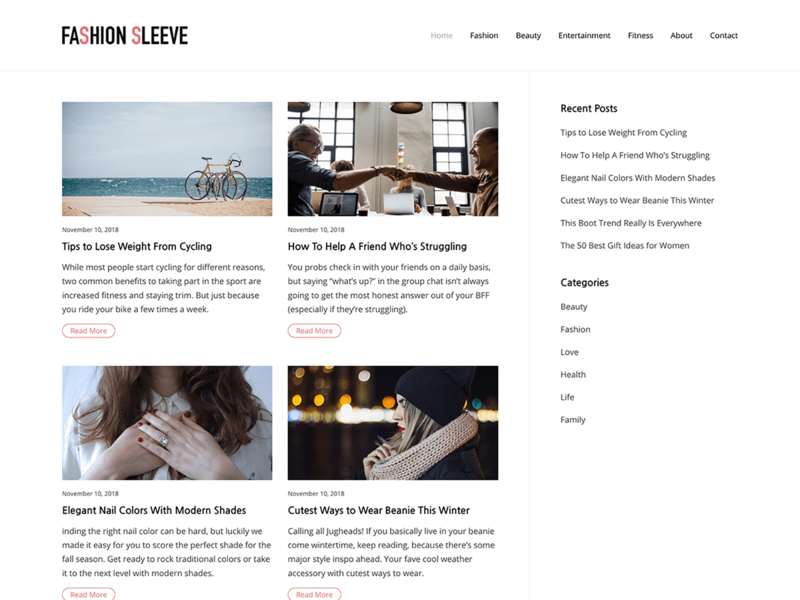 Fashion Sleeve is a clean, free and modern WordPress theme. It has an elegant, carefully crafted design to impress your audience. Fashion Sleeve is ideal for the personal or magazine-style blog, whether your passion is fashion, travel, beauty, nature, photography and architecture. The theme is super beginner friendly but yet powerful enough to grows up your site to the professional level.